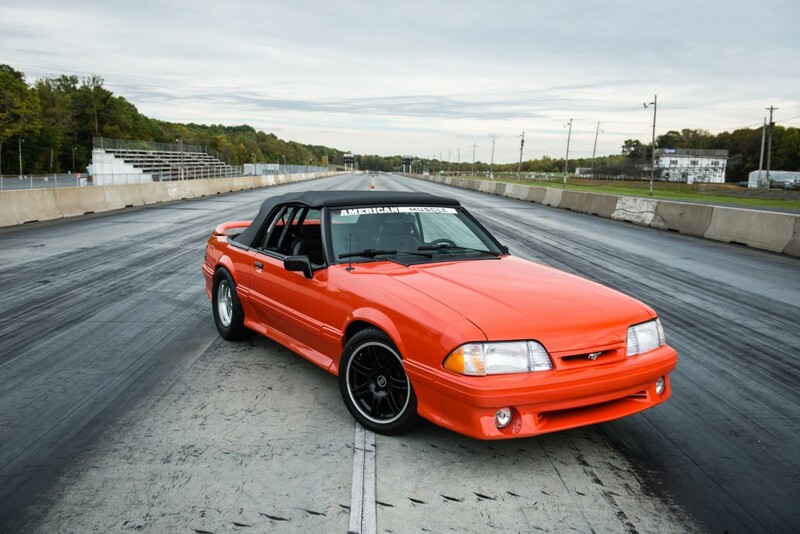 While the Fox Body Mustang is one of the most affordable and fun project cars you can own, there are a few things you should look out for before you hop into your next build. We have compiled a list of possible problems you may encounter with an older Fox Body and how you can remedy each problem. Issue:Due to the large engine up front and the tendency of Mustang owners to utilize said large engine, twisted frame rails and cracked torque boxes are quite common. Factory bracing simply isn’t sufficient even for stock power levels. Cracks or bulges around the hatch or windshield pillars is clear evidence of a twisted frame. Solution: To fix it, reinforce the torque boxes with a reinforcement plates, and install aftermarket subframe connectors for the frame rails. Issue: Fox strut towers are susceptible to rust and rot, particularly so at the base where they meet the frame rails. Solution: It is possible to buy or fabricate replacement pieces, but this is not a job for the faint of heart. Nor will it be cheap. If purchasing a Fox, it is most likely better to walk away from one with this issue. Issue: Over time, the stock head lamps can develop severe oxidation and hazing due to brittle seals. Solution: A headlight restoration kit (usually a plastic friendly cleaning compound) will often take care of the yellowed look, but typically doesn’t last a long time. If you prefer a permanent solution, replace the assemblies all together. Good news here – those 5.0L V8 engines are tough! There will always be wear items such as serpentine belts, batteries etc, but as far as internals go, they should last a good long time. Issue: As these cars ages, they will often leak oil from the rear main seal. If you see oil leaking onto or around the transmission, this is evidence of a leaking rear main seal. Issue: A water pump can be considered a wear item, but it seems many owners are replacing them within short intervals. Check the water pump by looking underneath it (from the bottom of car) at the weep hole. The weep hole should be dry. There should also be zero play or wobble on the shaft. Solution: If the water pump is bad, replace it. It is an inexpensive and easy fix item. Issue: The transmission grinds when being put into reverse. This is not actually a defect, but rather reverse is an unsynchronized gear. It is the nature of the beast. In fact, pretty much all manual cars have an unsynchronized reverse gear. Solution: Wait a few seconds before shifting into reverse for the transmission internals to slow down/stop spinning, or shift into any other forward gear and then reverse (ex, 1-R or 5-R). This will slow the internals sufficiently that reverse will not grind. Issue: It is not uncommon to experience problems when shifting and driving in 3rd gear (particularly if the transmission has driven many a mile). 3rd gear can be hard to engage, noisy or grind. This is due to wearing internals. Solution: Eventually, the transmission will need to be removed and rebuilt. Issue: AOD’s may exhibit odd downshifting characteristics, such as downshifting prematurely or not at all. A common culprit is the kickdown cable (TV cable). Solution: Adjust the TV cable back into spec. Some say it can be done at home, others prefer to leave it to a shop. Issue: Fox Mustangs come equipped with a clutch-type limited slip differential. Unfortunately, they wear easily and cease to work. If you stomp the gas and only see one tire mark, it means the clutch discs inside the differential have worn out. Solution: Rebuild the Trak-Lok unit with a rebuilt kit, or replace it with an entirely different carrier. Option #1 is very inexpensive and can be done with attention to detail and an afternoon’s worth of work. Electrical problems are often the worse to deal with, because they are very hard to track down! It could be a blown fuse, bad relay or ground, or a short in the wiring. Whatever it is, these gremlins are annoying to find. Good thing for us is that the Fox platform is not known for having extensive electrical issues. Rather, there is simply one well known one. Issue: On Mustangs equipped with fog lights, the factory wiring and switch is insufficient to handle the load when both headlights and fog lights are on (fog lights can only go on in conjunction with headlights). Due to this, you may experience headlight flickering when the fogs are on, or the head lights or fog lights cutting out completely due to the overdrawn circuit. If left long enough, the 4-way switch can even burn out (blinker/wiper switch). Solution: You can rewire the fog lights yourself to run independently and from a separate power source than the head lamps, or there is an aftermarket fix kit that includes the necessary wiring and replacement buttons to get the job done. Last but not least, we’ll examine some frequent issues that occur within a Fox Body Mustang’s interior. These issues really are not too significant, but are more detail oriented. Issue: The ash tray cover will not stay closed. This is due to a broken or worn out spring. Solution: The aftermarket provides a fix kit with a new spring and accompanying hardware. Solution: Purchase and install the aftermarket horn button repair kit. Very easy to do.